The sound upper version of the Red Zeppelin 1970 Bus Festival has appeared for almost 10 years. A live sound source that was forced to listen to a poor audience recording for a long time, though it is a very important stage in their history. It is a live sound source that has been released in the form of acetate before that, of course, due to the importance of its content side, and has become a high presence of the threshold even more. Above all, acetate has been said in overseas research books to the point that “the sound is so bad that it is creeping”. Even so, many enthusiasts have been challenging the harsh and distorted sound of the sound quality, because it was a historic day in ZEP’s live career. That is the “recorder 1” of the bus festival that was recorded on an item such as acetate “KNOCK ONESELF OUT VOL. 1 & 2” or “BATH 1970” on the CD. On the other hand, not only is it a valuable audience recording that can only be heard only with the precious Krishna label ‘BATH 1970’ but also ‘recorder 2’ is a great advantage that the sound quality is far more audible than ‘recorder 1’. was. 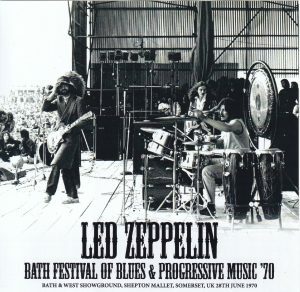 However, because “BATH 1970” was a digest compilation that put the entire festival into one LP, it hurts that ZEP was recorded only two songs. Still, because I heard “The Boy Next Door” and “That’s The Way”, which were live premieres, with a much better sound quality than “recorder 1”, this long version does not exist. It was supposed to be. 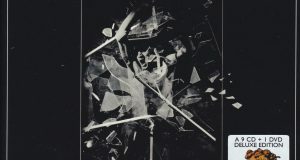 A long version of “recorder 2” suddenly appears in 2010, 40 years after the release of this LP. The sound quality is better than the LP in the example, and the mania around the world has become more colorful as it has almost recorded the entire show. It was natural that there were several items competing in 2010, with such amazing sound sources for excavations and the upper version of the bus festival. Under such circumstances, “THE BOY NEXT DOOR: BATH FESTIVAL 1970” has been described as “Best” from mania and specialty magazines. 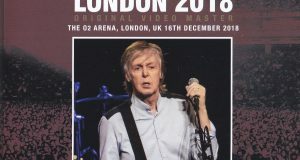 Finally, the pitch of the vintage audience excavated was precisely adjusted, and the smoothness of the edit, such as the correction of the missing part with “recorder 1”, was regarded as the “best version” from among mania. Naturally, the title is Sold Out as of 2010. So the re-release was eagerly awaited, but the second press, which re-created the artwork, which was originally a black and white photo, with a color photo, is a long-awaited release in 2015. However, this too soon became Sold Out. The recurrence was relatively new to memory, but even four years ago. So this time, a second re-release will be realized. There is no place to make any changes to the live feature any more, and this has not changed since 2010. However, this time, the two additional tracks recorded on the previous Mega Rare LP “BATH 1970” as a bonus track are additionally recorded. At the time of the last re-release, gift CD-R which recorded these 2 songs appeared, but these are also recorded in the limited press CD this time. However, since the original is the same “recorder 2”, those two songs will fall in the category of “mastering differences”. In this way, the goodness of the state is the overwhelming sound of the original sound source version of 2010, but the texture of the two vintage songs that were enclosed in 1970 was also tasteful. In particular, “The Boy Next Door” can not capture the original sound with a private press vinyl, but the distortion creates a sense of vintage items rather realistically. The “recorder 2” upper version has replaced the rough and distorted “recorder 1”, and the unique ZEP performance of the day. The first song is a new song “Immigrant Song” which has not yet been recorded yet, even before the festival appearance. 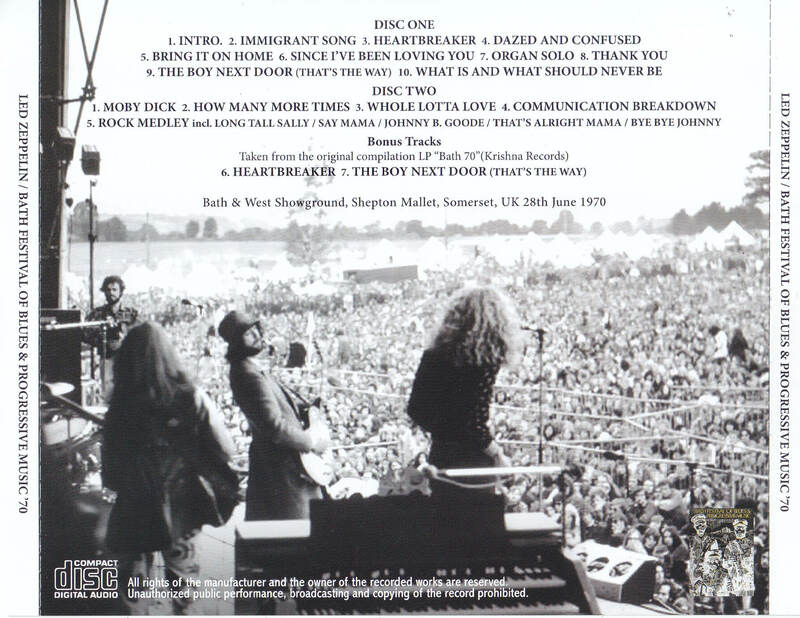 As this opening speaks, ZEP’s stance to practice creative attack on the stage stands out until the middle of the live of this day, and “The Boy Next Door” which I touched first is the same. 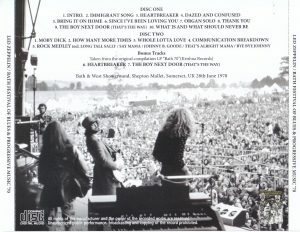 Even before “Since I’ve Been Loving You”, which had been continuously played on stage before the bus festival, was released. Furthermore, since the plant’s Scream Voice is a natural time, his presence to cut into the other three performances with his own voice is intense. The top of it is “How Many More Times”. From the middle of the performance, it is amazing for the plant to adapt the various passages of the song in line with the development. Starting with two songs by Neal Young called “Down By The River” in “Mr. Soul”, “Sweet Home Chicago”, “Need Your Love Tonight”, etc., phrases of various masterpieces were expelled from the brain of the plant anyway. That’s right, it combines with the other three people in four parts. This is the 1970 ZEP. 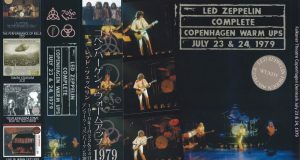 By the way, the stage where three songs called “Immigrant Song” coexist in addition to “How Many ~” and “Whole Lotta Love” is rare in the live history of ZEP, so the historical value is also high in that respect. Also, the special finale, which has not been incorporated into either “How Many ~” or “Whole Lotta Love”, but played a rock and roll medley “only” and closed, is also valuable. Here too, the performance of the masterpiece where the plant’s Screaming Voice led everything. Basically the high performance level 1970, the definitive edition of the title recorded the historic stage along with Royal Albert Hall and Blueberry Hill will appear three times, those who have not heard this sound source until now Do not miss this time!